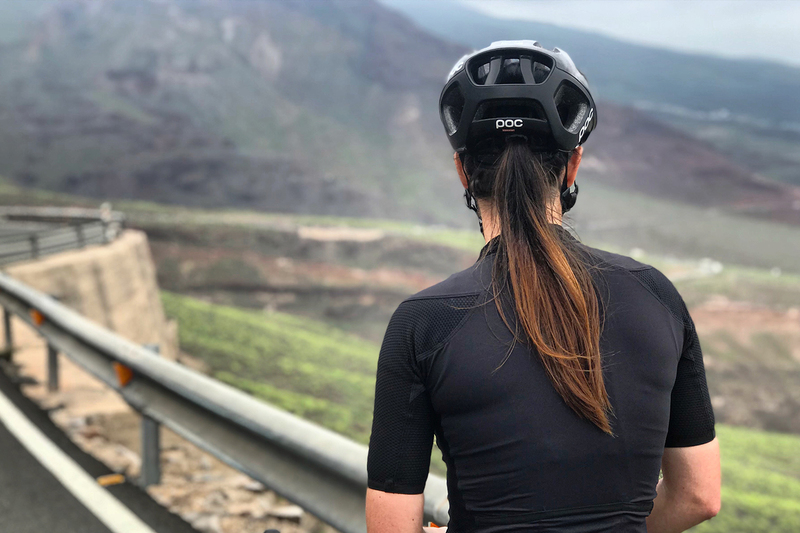 ...sharp hairpins cut in mountains, tropical fruit trees in valleys and wild pines in high altitude – welcome to Gran Canaria, a place made for cycling. It's one of the most popular destination for winter and early spring training camps especially for its pleasant climate and warm temperatures. The sky along the coast is almost always blue, only mountains are from time to time covered with dark grey clouds. Local farmers call it a donkey's belly, panza de burro in Spanish. Dark clouds seemed to local farmers such like donkey’s belly underneath which they were napping during the hottest hours of the day. 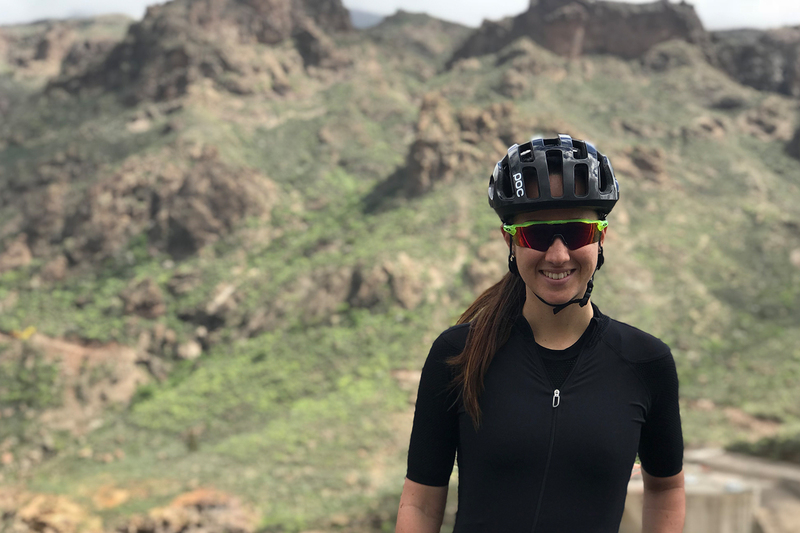 Though the coastal temperatures are very friendly to cyclists, the mountains may be quite a different story. 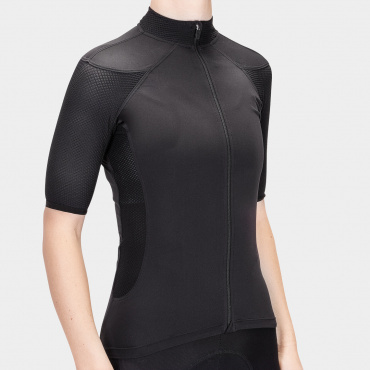 They can offer you hot sunny day as well as catch you out by dropping to only few degrees above zero. 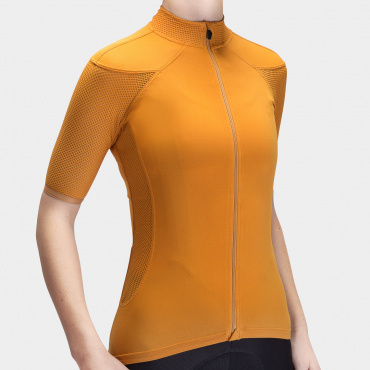 This year the weather was kind to us, and let us ride in short sleeve jerseys all the time with only a light gilet in back pocket. Fresh wind blowing from the ocean is an essential part of Canarian life. Wind is sometimes so strong that you’d rather change your plans and ride into the mountains instead of fighting against it on the coast. 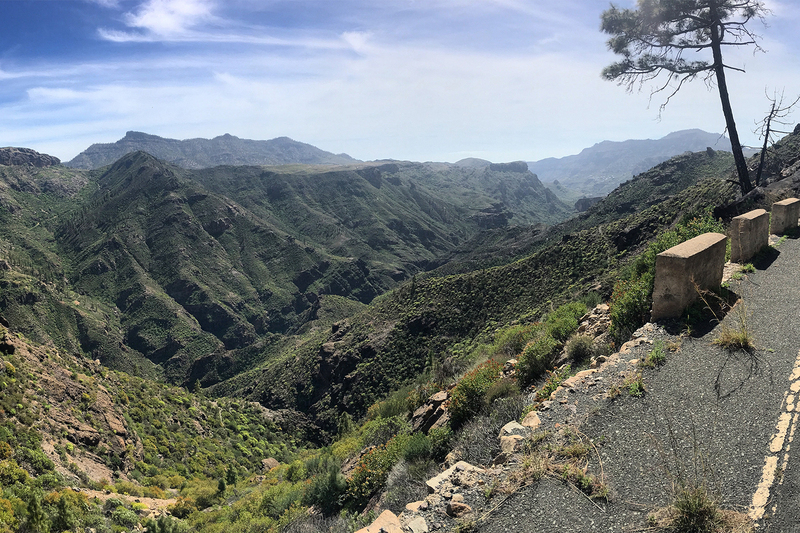 What I really love is Canarian nature. As you ride your bike through the island, the vegetation is continuously changing. On the seaside, there are mostly rocks and sand with only few succulents. Sometimes you pass banana or avocado plantations. The higher and deeper to center of the island you ride the juicier, richer and more colorful vegetation becomes. In the middle altitude you pass various cactuses species, eucalyptus, orange trees and much more. But the real treasures are found high in the mountains, wild almonds, lavenders and pine trees filling the air with a scent you will never forget. It is definitely my favorite part of the island, and the reason why I always push myself to climb up to mountains. 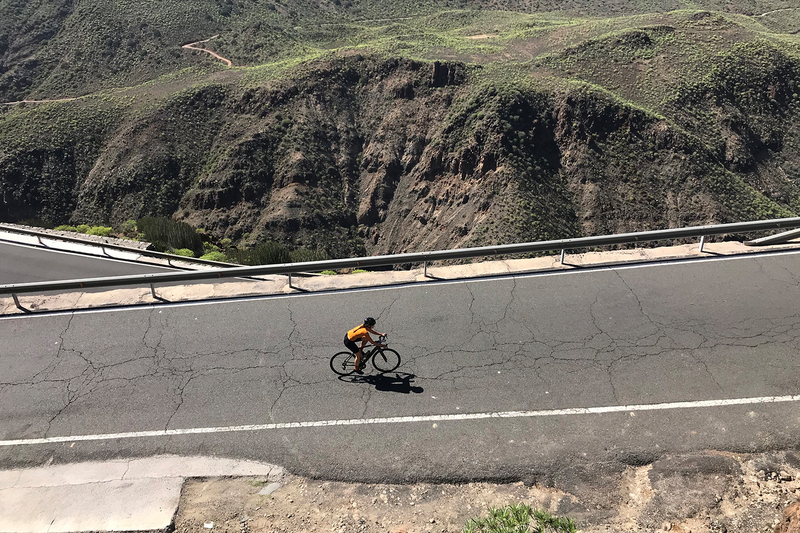 Don’t expect perfect flat roads in Gran Canaria, you will hardly find any. The only “easy” road is the hilly one on the coast, it’s a good warm up. 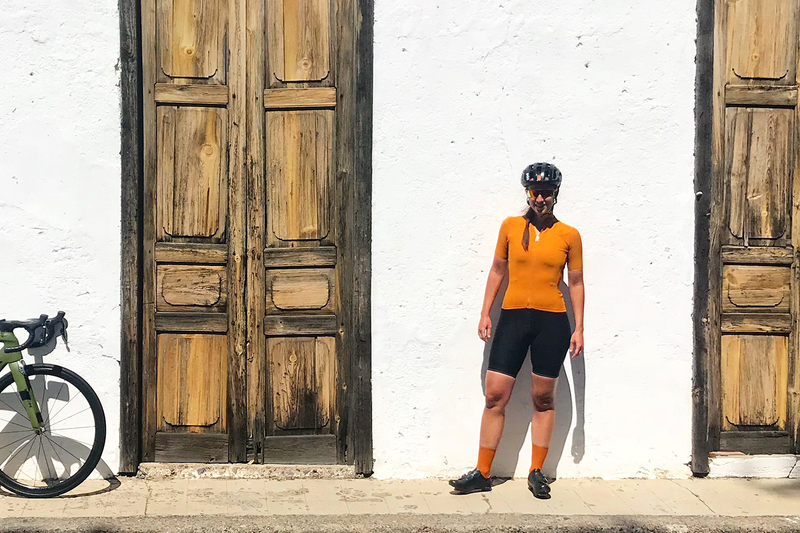 It leads from Maspalomas, where many cyclists stay, to Puerto Mogán, an old harbor nicknamed the local Venice because of its narrow canals and bridges leading through city center. On this road you pass all the luxury resorts with hundreds of tourists sunbathing on the beach and enjoying their vacations. 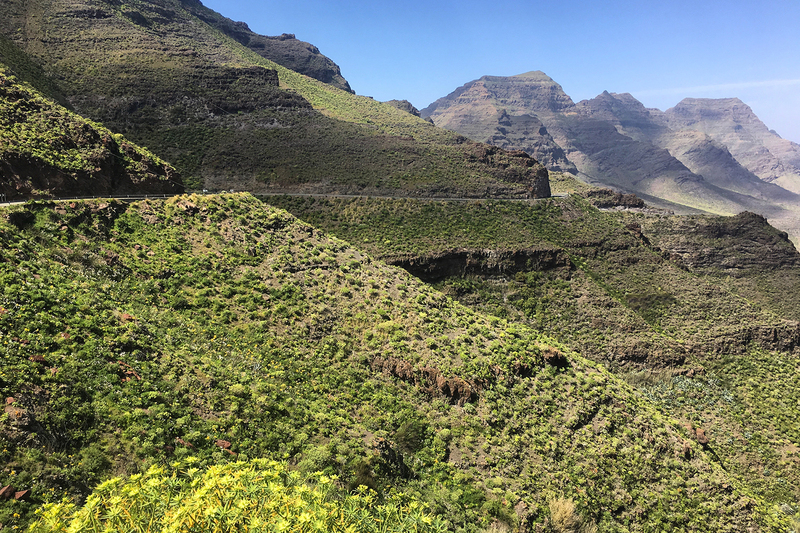 The real pride of Gran Canaria are the mountains. 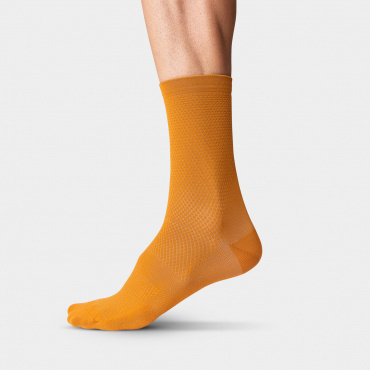 Even if you are not a typical climber you will learn to love them. 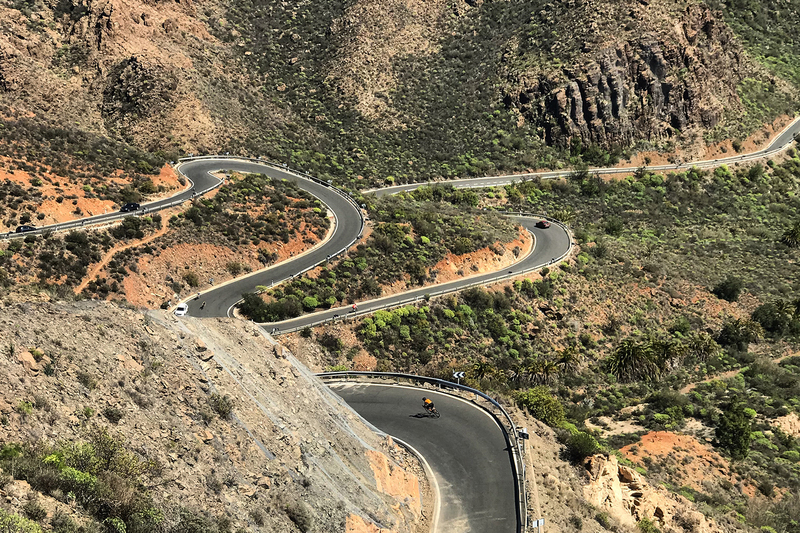 Never ending roads leading through mountains, sharp hairpins and breathtaking views over deep canyons will quickly steal your heart. 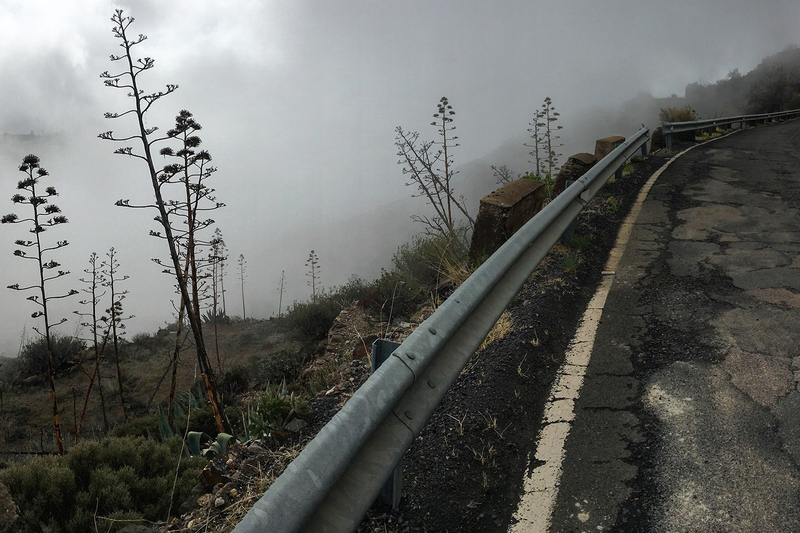 My favorite mountain road leads from Ayacata to Mogán, where I found one of the best descents I have ever ridden. Old mountain villages like Santa Lucía, Ayacata, Tejeda or San Bartolomé with typical white houses will become your everyday target. Visit the local cafés and grocery stores to refresh yourself, buy a banana, some famous almond sweets or enjoy a typical juice made of oranges and cactus fruit called tune indio in Spanish. 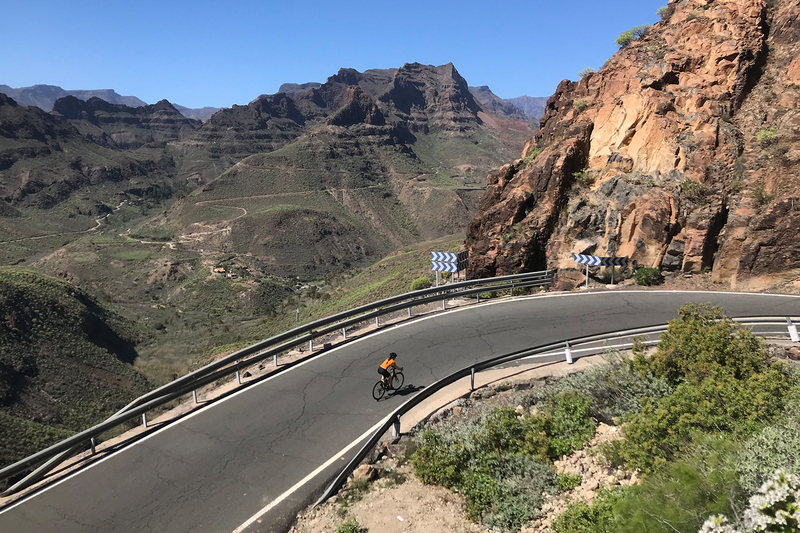 Gran Canaria offers a real cycling challenge as well. The Valley of the Tears is a serious climb with more than 1000 meters elevation, starting 300 meters above sea level leading to 1380 meters. With a 10 % average grade and a maximum of more than 25 %, it will likely make you cry, as is indicated in its name. But the views over valley are unforgettable. See you next year Gran Canaria. I simply fell in love with you.